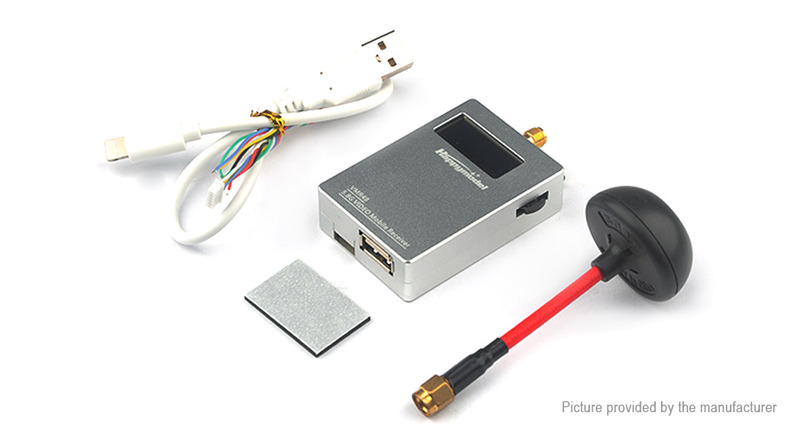 Turn your Android device into an FPV viewing monitor with the Happymodel VMR40 is high quality portable wireless 5.8GHz video receiver designed for FPV flight. Receiving and delivering real-time video to your Android mobile phone, device or computer via an OTG cable, the VMR40 Receiver is as versatile as you need it to be. The VMR40 includes an OLED screen with good outdoor visibility, an integrated 32bit MCU, one key channel scanning and 40 channels. It is compatible with most mainstream 5.8GHz video transmitters and comes in a CNC aluminum alloy case, which not only reduces interference, it acts as a heat sink and provides rugged protection when is use at your flying site. Super light and super small, great to take along to watch the racing with at your local FPV club or hangout just slip it and your phone into your pocket and your done.